Enjoy taking your baby out with a baby pushchair you can count on to turn heads and keep your baby safe. 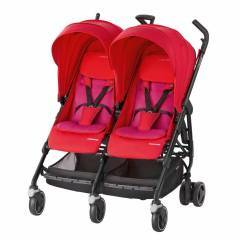 Our Maxi-Cosi and Quinny from birth strollers combine stand-out design with a practical durability and features to make life easier. 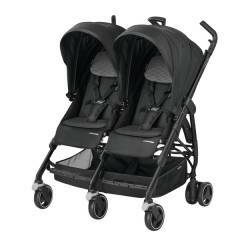 Suitable from birth, they can be used with a carrycot or Maxi-Cosi car seat to create your dream travel system. 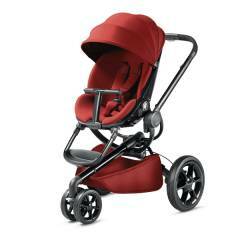 In smart, hardwearing fabrics, they ensure your baby’s first trips out into the world are full of style. And user-friendly features help you to be on time and relaxed wherever you’re going. Movement can help your baby to nod off peacefully to sleep. 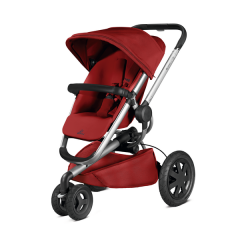 Look for full reclining options on your baby stroller or fit a carrycot for a lie-flat sleeping position. Foam filled tyres can also help ensure the ride is a smooth one for relaxed nap times on the go. And plenty of padding and a spacious seat area can also make it a cosier place to be. 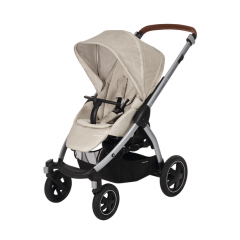 Or if your baby falls asleep in their Maxi-Cosi car seat, a compatible pushchair means they can continue sleeping undisturbed. We’re committed to keeping your family safe, for happy travelling. Our from birth pushchairs are rigorously tested for strength and safety. 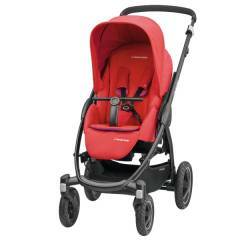 We use strong five point harnesses, which hold your baby safely and comfortably in place. We’ve designed easy to use centralised braking systems to stop your pushchair rolling away. 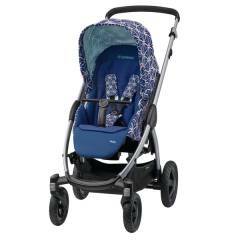 And things like rear facing options or peek-a-boo windows let you keep an eye on baby. 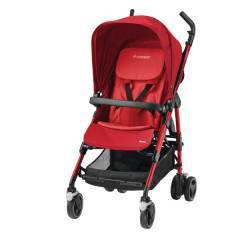 We also offer a complete range of accessories, from umbrellas to buggy boards to make everyday travel easier.